One of the major keys to vegan success is to have a meal plan. I literally just sat here and planned a few days of meals in my notebook to go to the grocery store tomorrow (I order groceries from Instacart often too). When I started my own vegan journey in 2010, I wasn't used to meal planning at all. I would go into the grocery store and shop based what was on sale for the week. If you're new to this, it may take time to get used to vegan meal planning and grocery shopping, but I promise it will get easier once you get into a routine. *Think about meals you're already eating and how you can make those meals vegan. -Replace the chicken breast with a vegan chicken alternative from a brand like Beyond Meat or use black beans. -Replace the dairy cheese with a vegan cheese or use more sauce instead of vegan cheese. -Replace the sour cream with a vegan version (you can make one out of coconut cream, salt & lemon juice). 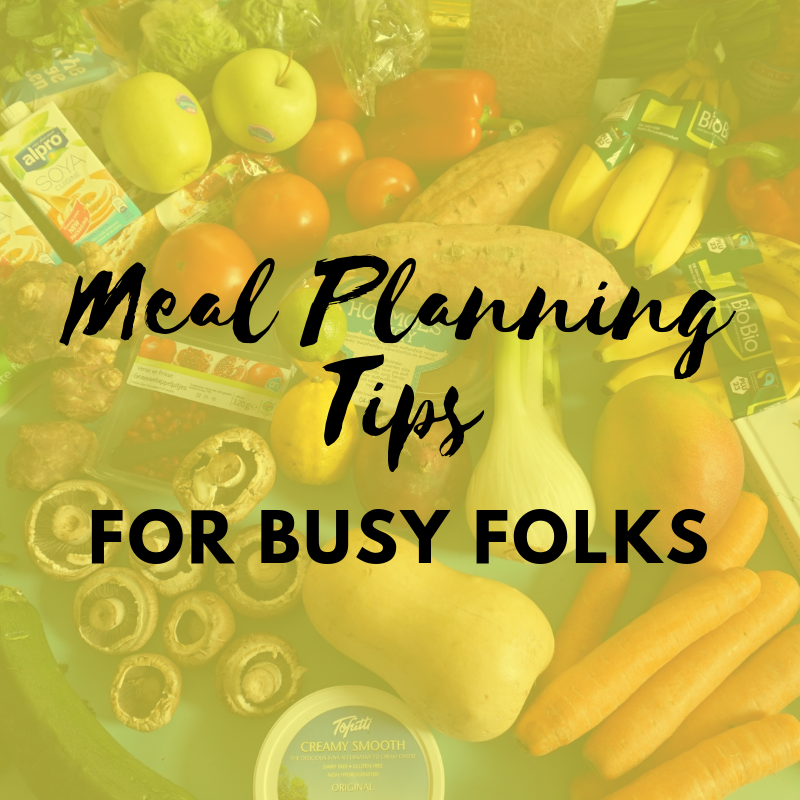 Using this method will help you establish some go-to recipes and save time when you're too busy to meal plan. *Keep breakfast and snacks super simple - Dinner is enough to worry about, so try to keep your breakfast and snacks on autopilot. Start off by planning two vegan breakfasts each week, then buy enough to last several days to save both money and time. For snacks, you can enjoy pretzels, trail mix, fresh fruit, kale chips & smoothies. *Establish go-to recipes and consider vegan options/convenient meals near you. When I meal plan, I always build in meals that are convenient for those days I don't feel like cooking (it happens so always include convenient meals). Simple meals like spaghetti, a local takeout place that has vegan options on the menu, or even a pre-packaged option like the Gardein Skillet Meals (I reviewed this product on my YouTube channel). I want to encourage you to start meal planning today. Even if you're only adding one vegan meal to your meal plan this week, I promise this first step counts! You don't have to be a gourmet chef every night. Keep your meals simple, so that you can gain confidence to move forward. You can (and should) do this!